Andy is one of the leading Magento developers in the UK and served as CTO of made.com. He approached us when he started freelance work to develop his WordPress based site which would be optimised for SEO. 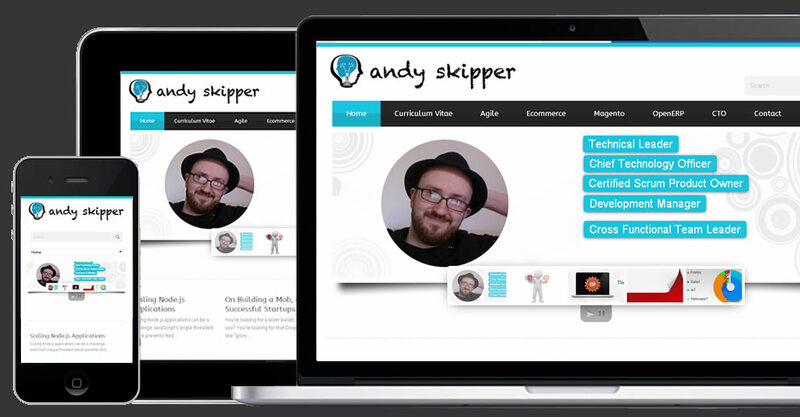 We developed a visually appealing and clean looking website for Andy. He liked the design and asked for various customised images to be developed for it. We created a responsive WordPress site and installed plugins which helped the SEO of the site.